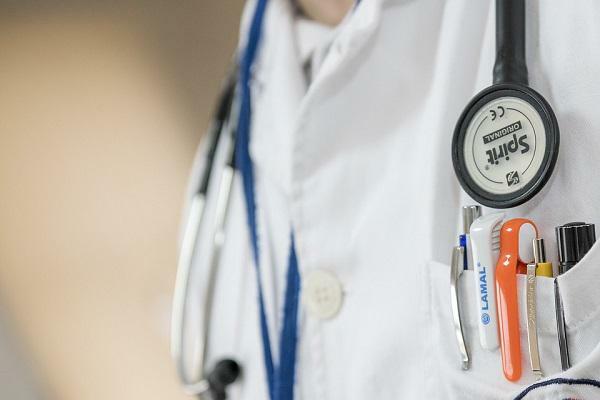 In late July, Blue Cross and Blue Shield of North Carolina announced it would reduce – on average – the health insurance premiums on Affordable Care Act plans by 4 percent. This week, many customers learned that doesn't necessarily mean it applies to them. 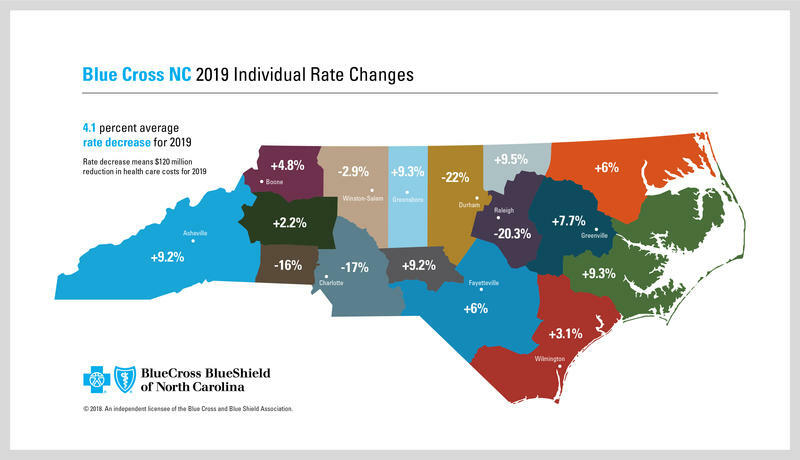 In fact, some customers in rural parts of the state might see a premium increase of 9 percent or more, according to more detailed information about premium rates released by BCBSNC. Others, particularly those who live close to major medical centers in the Triangle or Charlotte, will see premiums decrease by more than 20 percent, on average. The disparity not only establishes another data point in North Carolina's urban-rural divide, but highlights the effects of health care competition and the role of reimbursement contracts between health insurance companies and health care providers. By now, patients have come to understand that hospitals charge sometimes astronomical prices for seemingly routine procedures or for common drugs that cost only a few dollars at a corner pharmacy. But unless a patient pays those bills herself – which is uncommon – that charge is all but meaningless. Providers hash out contracts with health insurers ahead of time and the insurer pays only that negotiated amount. This week, BCBSNC announced a partnership with UNC Health Care's UNC Health Alliance "that reduces premium costs for ACA customers on the Triangle by more than $1,680 a year on average, before subsidies." That agreement paved the way for the 21 percent premium reduction for those customers. 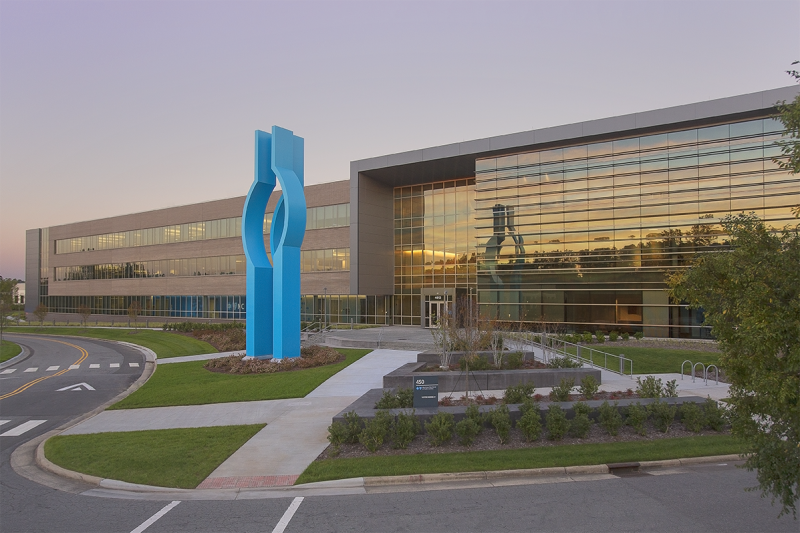 "We were able to say to them, 'We want you to lower medical costs, though a combination of lower prices, and an arrangement where we're jointly accountable for quality and total cost of care," said BCBSNC Chief Executive Dr. Patrick Conway. Of course, that doesn't bring much comfort to ACA customers in rural areas that will see premium increases. Conway said it can be more difficult to negotiate contracts in rural parts of the state. "In some of the eastern and western parts of the state, there's not much competition. And that creates a challenging environment for us to bring down medical costs," he said. In some cases, disputes over these payment contracts can lead an insurer and a health system to break up. When this happens, providers in that system go "out-of-network" for customers of the health insurer. That happened in 2017 in a tussle between BCBSNC and Mission Health in western North Carolina. While that contract was eventually worked out, BCBSNC ACA customers in western North Carolina will see some of the highest premium increases next year. In broad terms, Conway's strategy looks to reimburse health systems for quality instead of quantity, the same goal of the Affordable Care Act, and strategy that Medicare has tried to undertake. Increasingly, health systems can benefit financially by keeping patients healthy out of the hospital in the first place. "In the old world, you get paid for heads in beds. You get paid for having people in the hospital," said Conway. "No patient or family wants to be in the hospital. In the new world where we are paying for quality and total cost of care, if (providers) can prevent people from being hospitalized, then we'll share in those savings with the customer, with the provider, and with Blue Cross. So everybody wins." Premiums for the majority Affordable Care Act plans in North Carolina will decrease for the first time in history, but the chief executive of the state's largest health insurer says they would be 15 percent lower if not for actions taken by the Trump Administration. In 2014, former President Barack Obama’s health care law gave states the option to expand Medicaid. North Carolina was among 18 states who chose not to expand the program. At the time, many officials in those states expressed concern over how much expansion would cost.